In the following program user would be asked to enter a set of Strings and the program would sort and display them in ascending alphabetical order. 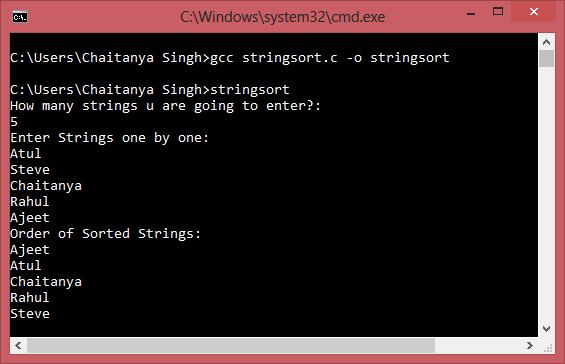 As you can observe in the above screenshot of output that we have entered 5 strings and the program then sorted them in ascending order. We got a sorted set of strings as output.